Let me introduce you to Craft Storm Tights. These tights have kept me comfortable during some mighty chilly rides! If you are avoiding going out and having fun on your bike this winter due to temps 25 and below, these tights will take you to the next level! They are comfortable, durable, and you can easily layer under them. If you invest in a pair of Craft Storm Tights, you will no longer be able to say you aren’t prepared for the cold weather. Why short yourself prime riding opportunities simply because it’s closer to 5 degrees than 20? Let me tell you why the Craft Storm Tights are so special. 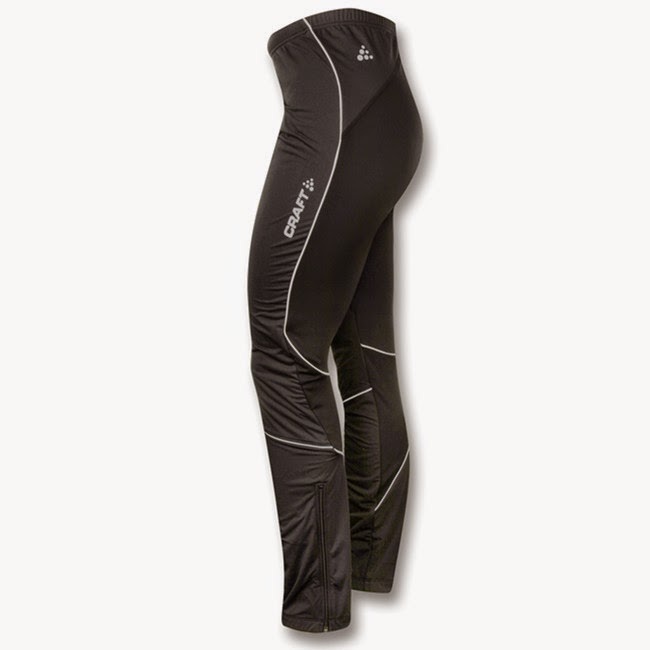 They are windproof, breathable thermal fleece tights made with four-way stretch to ensure comfort. I have been able to easily wear a second pair of thinner tights along with a pair of liner shorts. You can use the drawstring to ensure a snug fit. The front panel (Windshield) provides additional windproof (and breathable) protection. These are my go-to tights for cold, wet, windy days. I have a thinner pair of windproof tights and they have fallen short to the comfort that the Craft Storm Tights bring. The Flex-Fleece (found at the back and lower legs) is tightly knit with a smooth outside surface that resists snags. I can’t tell you how many times I’ve grazed my calf with my pedal pins or got off closer to shrubs and branches. So far nothing has created a hole in these tights! With additional layers or not, I’ve found myself able to keep my mobility-which is something that can be hard with some thicker tights. The kneecap has an opening to allow full range of motion-this ensures full usage of your pedal stroke. The brushed inner surface stays close to your skin and provides wicking and ventilation of excess heat and the moisture wicking front panel provides extra protection for you in the cold. dark or in low-light conditions. These tights have turned into my go-to for cold weather riding. They are durable, comfortable, and functional. I’ve worn these when I’ve been out snowshoeing, so you will find that they are easily a multi-use clothing item for any outdoor activity during the winter months. As said earlier, if you are inside wishing to be outdoors- these tights will aid you with keeping you warm during your outdoor adventures when temperatures are 25 and below!